In Peru, indigenous women make up over half of their communities, over 20 percent of the national population of women, and a significant part of the agricultural economy. Yet, they are one of the most socially and economically marginalized groups, and are often left out of decision-making processes at all levels. Over the past seven years, Marcelo has held a leadership role with ONAMIAP – a network formed in 2009 to unite grassroots advocates for indigenous women’s and communities’ rights under a shared vision and strategic priorities. Over time, the network has morphed into an organization tackling issues related to human rights, climate change, statistics related to Indigenous Peoples in the national census, and forest and territorial governance. For Marcelo, the issues of secure tenure rights and women’s leadership have always been an important part of her activism. Growing up in her native Pucharini, a community in the central rainforest of the Peruvian Amazon, she witnessed firsthand the ways that insecure property rights affected women – for example, by forcing them to fight to retain their lands when a male relative died. 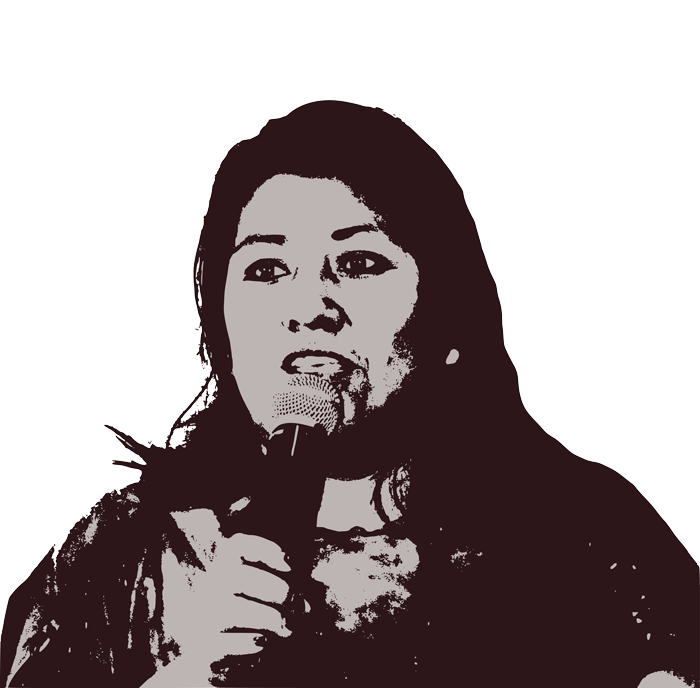 At age 20, she assumed the post of municipal agent in Pucharini, and later became involved with civil society organizations representing indigenous communities and women. “Women use lands differently. We have unique, ancestral knowledge of our forests, and the greatest responsibility for managing them. But there isn’t a correlation between the roles we play, and the ability to meaningfully participate in the management of our lands and resources,” she explained. In May 2017, members of ONAMIAP launched results of a participatory research project on indigenous women’s relationship to land and resources at a public event in Lima, Peru. Findings from the ONAMIAP report, which contains interviews with indigenous women from diverse regions across Peru, revealed that several participants identified the same widespread trend: “the importance of holding positions and participating in [community] assemblies with voice and vote.” Indigenous and rural women felt that their ability to exercise control over their lands and resources was tied to their access to community decision-making spaces, but found these spaces difficult to access. During the event, indigenous women spoke directly to government officials and international donors, advocating for stronger legal protections for indigenous women’s rights to govern their land and resources. Specifically, members of ONAMIAP hoped to influence a suite of land titling projects that are currently moving forward in Peru – many backed by international funding. While some of these programs contain clauses addressing gender equity, regulatory confusion has hindered implementation of these policies on the ground. As a result of the event, several members of ONAMIAP have been invited to join the local-level steering committees for one of the largest, IDB-backed titling projects, currently in its third phase of implementation. To further address this issue, members of ONAMIAP created a set of guidelines for the inclusion of indigenous women in community titling processes – offering specific recommendations for how communities, government entities, and donors can respect and protect women’s rights. These recommendations reflect the work ONAMIAP has been doing to effect change at all levels – from community organizing to participating in international convenings. And they are gaining traction. Already, their efforts have prompted some communities to change their local statues to require greater participation from women. And, they have made inroads in calling for the government to create – with the inclusion of communities and indigenous women – a new national policy on secure community land rights.